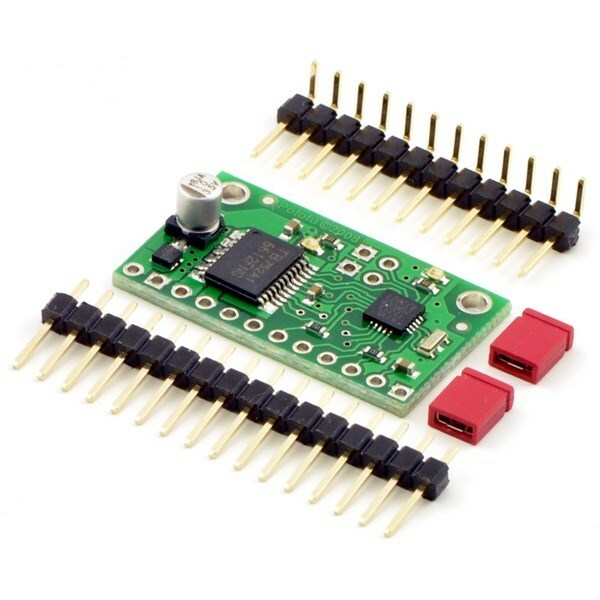 The Pololu Qik Dual Serial Motor Controller is allows your robot's microcontroller brain to control two motors via one TTL serial port. It can be used with 3V and 5V microcontrollers and supports motor voltages from 4.5V to 13.5V at up to 1 A of continuous current. 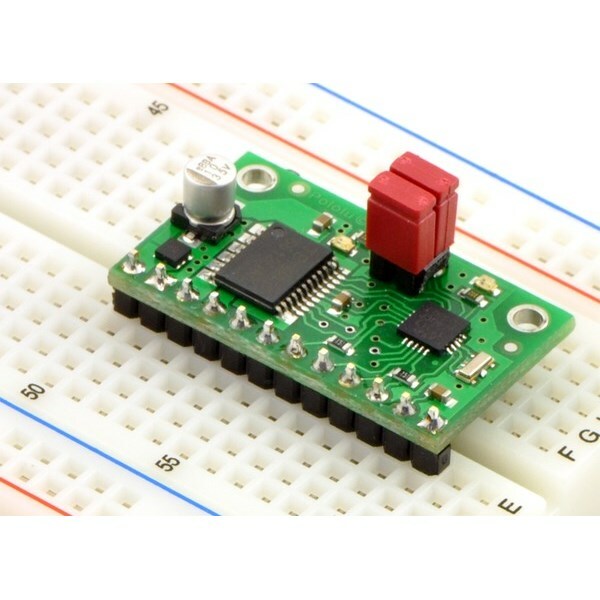 This motor driver features a robust high speed serial communications protocol to control two brushed DC motors using 8 bit high frequency PWM speed control. 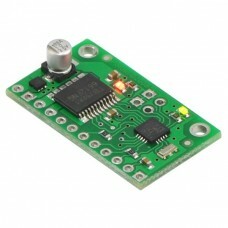 The two way TTL serial protocol features automatic baud rate detection up to 38.4 kbps with optional CRC error checking. 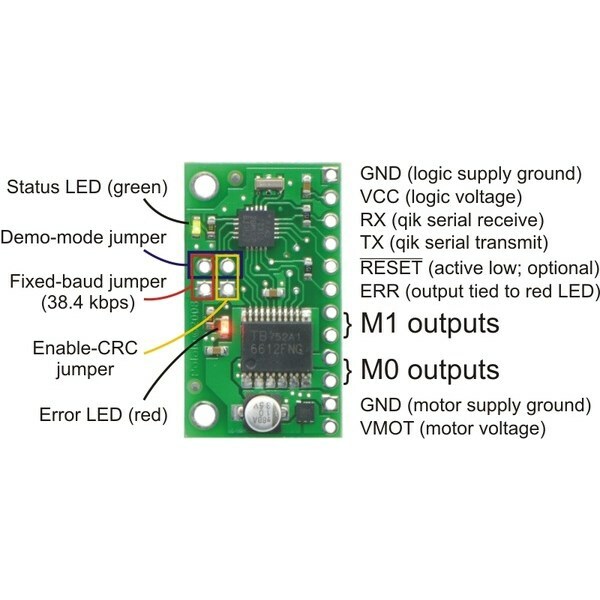 Two LEDs provide visual feedback to simplify debugging operations and a demo mode provides easy verification of proper installation. This board can also be daisy chained with additional boards to control hundreds of motors from a single serial line. The package includes two sets of optional header pins that require soldering.